Experience min. 1 year (SFA) & min. 2 year (DSE) in the field of Sales Retail / Direct Sales / Door to Door / MLM product for all consumer goods, electronics, houseware, telco, etc. Male/Female, age max. 30 years old. Candidate must possess at least a Bachelor's Degree in Economics, Finance/Accountancy/Banking or equivalent. At least 2 year(s) of working experience in Finance/Accounting/Account Receivable/Collection in telco operator/retail industry/consumer financing. Willing to be located in PALEMBANG. 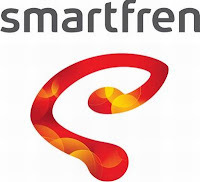 recruitment@smartfren.com. For detailed information & apply online, please refer official source on following link below. Advertised: 13-03-13.